1. All photos softcopy will be given in 16GB PENDRIVE. 3. 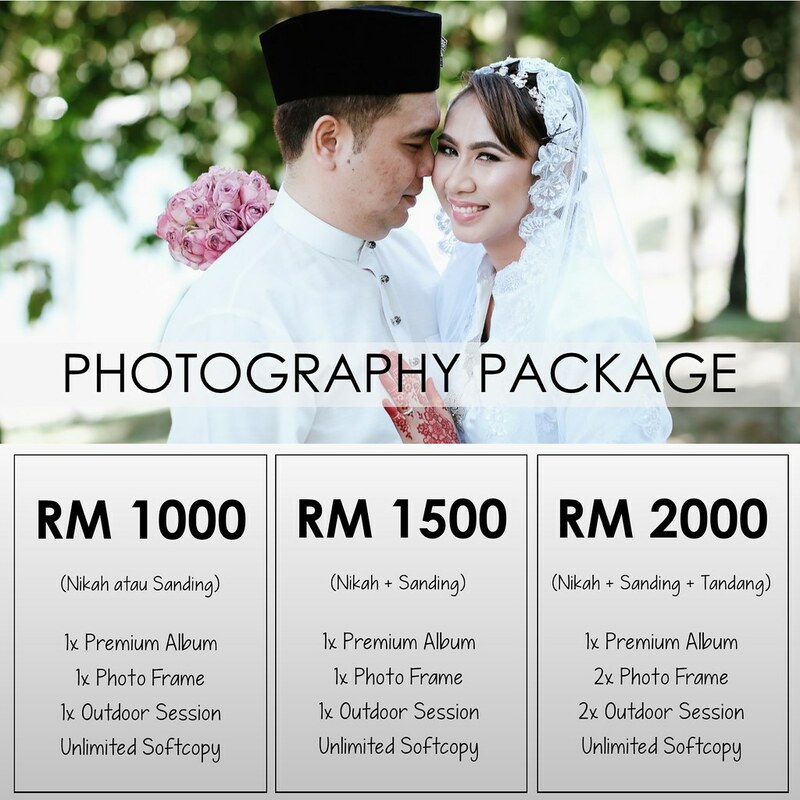 Add-on outdoor session is available at RM100 each. 4. 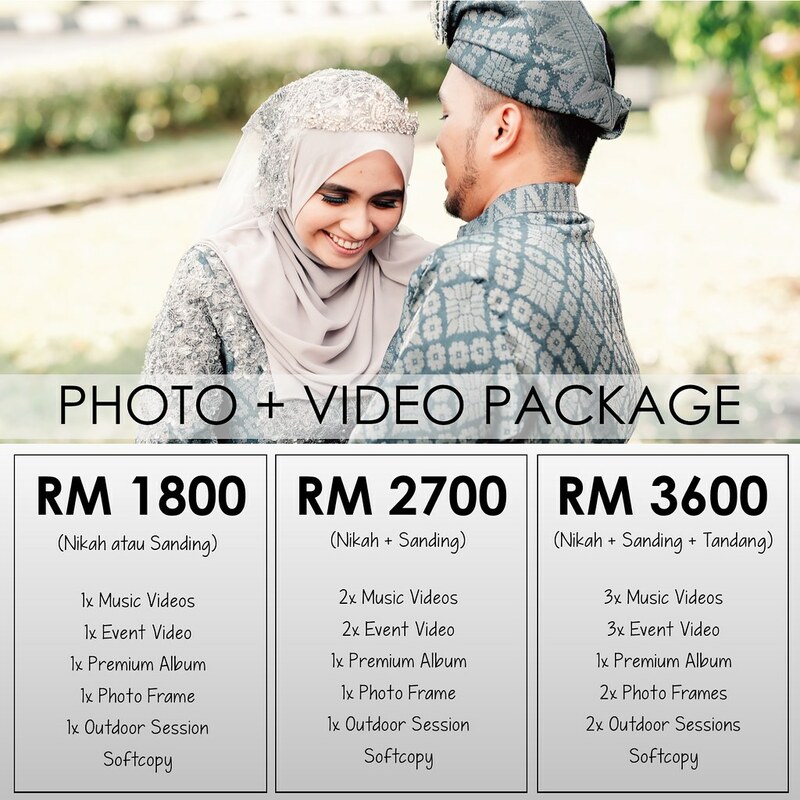 Add-on Premium Album is available at RM300 each. 5. Add-on Photoframe is available at RM70 each. 6. Package items will be delivered to Client within 1 month after completion of all events. 2. Event video duration is 20-30 minutes per event. 3. Video softcopy will be given in High Definition (HD) quality. 4. FREE interview with family members and friends included. 5. 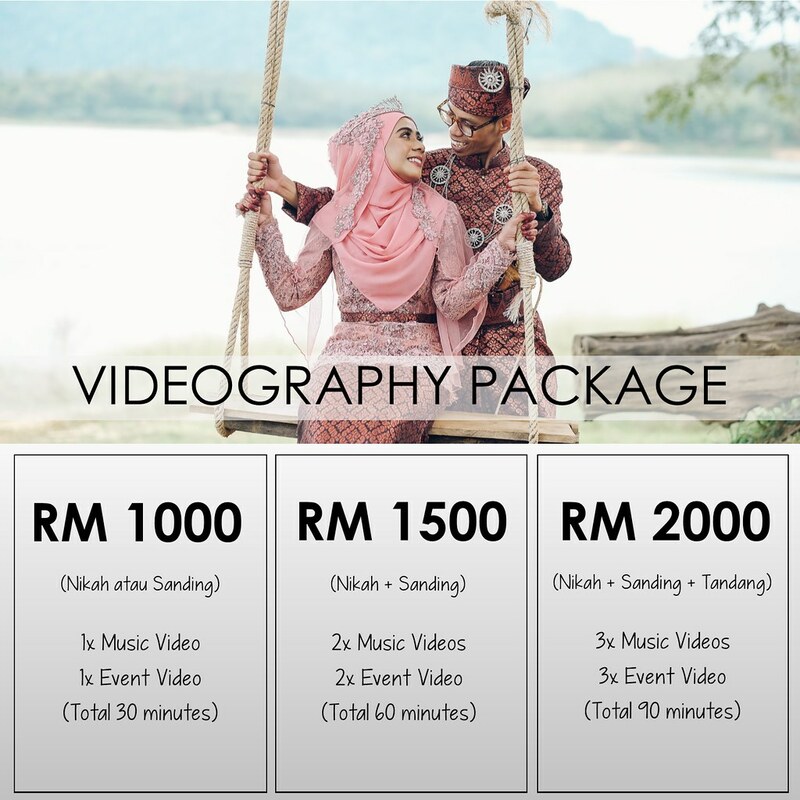 Package videos will be delivered to Client within 2 months after completion of all events.